a busy morning in the kitchen. 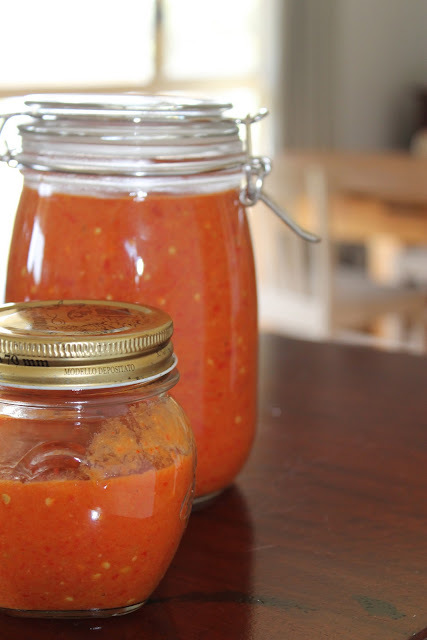 while we were in bali last year, we bought a balinese cook book and my favourite recipe that i have tried so far is the one for chilli sauce. its used as the base for nasi goreng and mie goreng but we have it with everything from fish to lamb to chicken and its great on pizza too. meanwhile i had some chicken stock bubbling away and got started on garlic and thyme quinoa patties for dinner tonight.